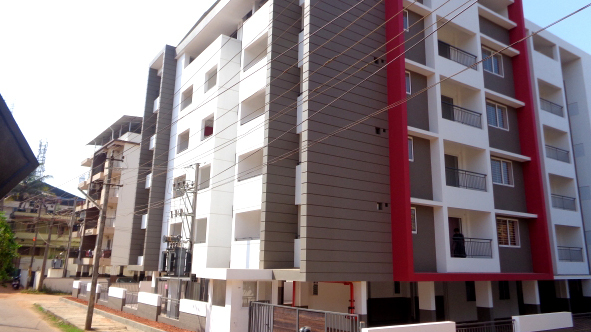 Mangaluru, April 29, 2017: A luxury Apartment project ’Jardin’ by Nidhi Land Infrastructure Developers India (P) Ltd was inaugurated at Suratkal on April 29, Saturday. 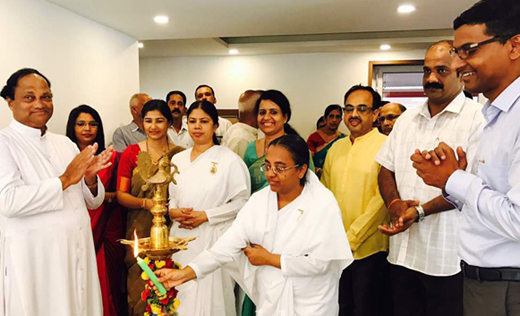 P K Vishweshwari of Prajapita Brahma Kumaris Mangaluru, Fr Paul Pinto, Parish Priest of Sacred Heart Church, Suratkal, D B Mehta, President of CREDAI, Mangaluru and Gunakar Shetty, local corporator lighted the traditional lamp to mark the inaugural. In her address, Vishweshwari congratulated Nidhi Land for contributing a quality residential project and wished peace and happiness to all the residents of the complex. D B Mehta who also spoke said Nidhi Land infrastucture is known for its quality projects and wished success to all the future endeavours of the firm. Nidhi Land Managing Director Prashanth Kumar Sanil welcomed the guests.